mommy's reviews: Beat The Heat With Mary Kay! Here in upstate NY, we experience hot weather from about June until September (most of the time). This summer has been a real killer as we have seen the temperatures soar above the 90's and even into the 100's. I am not a fan of the heat and because we have central air, I stay in most of the time when it gets that hot outside. Call me a wimp, but that is just the way I do things. Thankfully, when fall rolls around we enjoy milder temperatures and cooler days. For those of you who wear makeup all the time, this post is for you. Especially if you are tired of makeup running when it gets hot. I have worn mascara on hot days and...ahem...I sweat. So, do you know what that does to makeup? Yes...it makes you look like a raccoon. EMBARRASSING!! I am a huge Mary Kay fan. My favorite perfume, Journey, comes from Mary Kay and I have been forever hooked ever since a friend of mine gave me a tiny vial to try. Wow...the fragrance of this particular perfume is enchanting and so romantic! This post is not going to be about Mary Kay fragrances, but rather about their cosmetics. Specifically, their lovely summer colors and beauty tips. I have always used powdered eye shadow and blush so I was VERY intimidated to try the cream versions of these cosmetics. When I opened the containers and saw the brightness of the colors, I was even more intimidated! But, as I proceeded to apply and work with these items I was pleasantly surprised and my intimidation quickly turned to excitement and delight!! My face does not usually have makeup on it unless I am going on a special date with my husband, a wedding or another special occasion. So if I am going to wear makeup I do not want to look like it is caked onto my face...I go for pure and natural looks and colors. First, I had no idea what Eye Primer was. :) So, upon reading the box I discovered that it is a lightweight cream that is applied using the finger, to the eyelid and the eyelid crease. 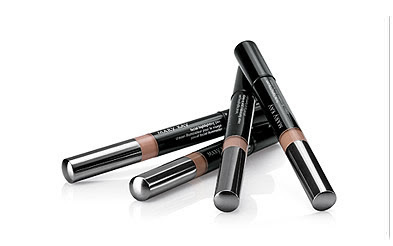 Eye Primer extends the wear of the eye color and keeps it from smudging. I carefully applied a very small amount to each eye. Next, I applied the Iced Cocoa Cream Eye Color (I love earth tones!!). I used a foam cosmetic wedge to do this and was really impressed at how it looked and how easy it was applied. Like I said, I am used to using powder so using a cream was a very nice change. Lastly, I used the Waterproof Mascara and this too was amazing! It looked totally natural and was very lightweight. I was also impressed because it did not clump...which is what usually happens when I use mascara. I was really nervous about using the Cream Blush because I was afraid that it would be too heavy and difficult to blend in. For my color choice I went with the Sheer Bliss Cream Blush. This was an excellent choice as it really added a nice touch of color to my cheek bones and also matched my eyes perfectly. It also blended in really well...no problems there! Another tip I have learned about blush is that you can also apply it (very lightly) to the tip of your nose, forehead and chin. This brings your whole face together and really finishes your look. My color choices when it comes to lip glosses and balms is always a more subtle and earthy tone. I go for mauve and very light pinks. So, after checking out my options with the Mary Kay cosmetics, I chose the Rose Tinted Lip Balm. As soon as I applied it I looked in the mirror and did NOT like what I saw. It was just too bright for me. So, I simply wiped it off and re-applied the Blush Tinted Lip Balm. Now THIS was the look I was trying to achieve. I was so happy with how it looked!! My finished look was incredible. Not only did it look super easy, it also looked amazingly natural! I could definitely see myself wearing this makeup daily. What do you think??? The best part about this makeup is that it comes off easily at the end of the day. I only had to use mild soap and water...which was really nice! All of these and other Mary Kay products can be purchased from their website, or you can find a beauty consultant near you. You can also check out their Facebook page for more tips, news, promotions and coupons. So, in my opinion...Mary Kay has some really great beauty and cosmetic products to help keep me looking gorgeous even on the hottest of summer days. I love the cosmetics I was sent and will enjoy using them throughout the remainder of the summer...and beyond!! Check out Mary Kay's summer time offerings...they will be sure to have something for you!! Disclaimer: I received no monetary compensation for this post. I did receive Mary Kay products for review purposes. All quotes and stock photos are from the Mary Kay website and email. All thoughts and opinions are 100% mine.